When it comes to keeping track of our finances, the numbers can quickly turn into seemingly indecipherable symbols. When things get complicated, a little accounting knowledge comes into play. Understanding accounting can provide us with the essential knowledge and skills we need to decipher the seemingly complex world of financial management. Through reference aids such as Accounting For Dummies, you can learn much of the key, basic information related to this field, enhancing your ability to manage your finances. In this article, we'll explore Accounting for Dummies and a few other valuable reference books that can benefit your wallet. 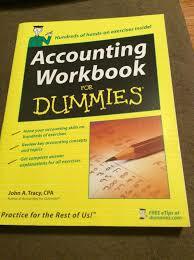 What is Accounting For Dummies? Accounting For Dummies is one of the many books in the "For Dummies" series, which covers a wide range of topics from the practical to the academic. This specific series of books is useful because the different volumes provide a concentrated source of information on their subjects. As stated by the publisher of the "For Dummies" series, Wiley: "To people who value knowledge, Dummies is the platform that makes learning anything easy because it transforms the hard-to-understand into the easy-to-use. Accounting for Dummies does just that on the topic of accounting, and this book is meant to serve as a reference guide for anyone from a small-business owner to a person looking to better understand what their 401k statements are saying. Further, Accounting For Dummies presents a wide range of key topics in accounting that we need to know about, understand, and begin to practice for our own benefit. For any individual working with money and capital, understanding how money handling works and the underlying accounting processes provide an important advantage in terms of operational value and productivity. Accounting For Dummies presents a practical overview we can put to work in keeping the books, investing our profits, and much more. Accounting for Dummies presents a comprehensive analysis of accounting theory and its practical applications. The book begins with a general overview of accounting, followed by an explanation and examples of financial statements. These provide the building blocks, and from there keeping the books is covered, and the kinds of organizations that keep books. Corporate structures and business formation options are discussed for the hopeful entrepreneur or curious customer, followed by coverage of balance sheets, income statements, and various other financial statements. To support investing activity, Accounting for Dummies moves forward from business development for entrepreneurs into the analysis and assessment of financial statements for publicly traded companies. Such information valuable because it can enable you to increase the worth of your investments by teaching viable strategies to apply. With a comprehensive understanding of basic accounting principles and investing activity, we learn how to manage our own finances, those of one of our own businesses, and eventually to assess those of companies in which we might invest. The pricing of the For Dummies book series, Accounting for Dummies included, is highly competitive. Paperback editions run on average $8 to $10, and we found an eBook version priced just over $20. We picked a few similar books intended to teach us accounting in a comprehensive yet compact format to see how they compare. Accounting for Dummies provides thorough discussions of personal and business accounting, as well as strong information on financial analysis of public corporations. It is a resource that can enable us to better run our own businesses and assess others before investing. The price of Accounting for Dummies is competitive and very affordable at under $. The content in Accounting for Dummies is very accessible and provides a non-complex read of highly difficult material, thanks primarily to the editors' careful gathering and organization of the content. The information provided within Accounting for Dummies is sufficient to give us a thorough understanding of personal and business finance as well as financial analysis techniques essential for investors. Accounting for Dummies provides a broad overview of key topics in accounting, although some of them are lacking in the depth necessary to be genuinely useful. However, the book does help reveal areas about which we want and need to know more; we can then find further resources to hone our skills. Given the breadth and depth of the information here that could cost thousands of dollars to gain via university classes, the value of Accounting for Dummies is quite high for the price. Accounting for the Numberphobic has the secondary title of "A Survival Guide for Small Business Owners," and it lives up to the name. The purpose of the book is to provide a useful guide for small-business owners to better manage, or at least better understand, their own finances.Many small-business owners use accountants for their financials and do not worry about them, or they may worry but lack the understanding to investigate further. This is where Accounting for the Numberphobic comes into play, teaching small business owners the specifics on their financial statements and the implications of business loss or growth. With Accounting for Dummies as the baseline starting at $8, Accounting for the Numberphobic is somewhat more expensive at around $17 for the paperback, and $10 for the digital version of the book. The book is written in the second-person format, so the author is speaking to us in terms like: "you should do this and know that," and so on. 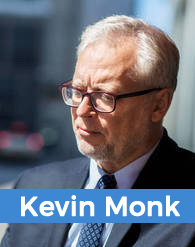 The author has been professionally hosting accounting workshops for small business owners for many years, and the tone and content of the book are tailored to this audience. The contents are effectively ordered and comprehensive, and the text is written in an informational yet informal tone that is welcoming. To begin the book, a number of statements and comments from real business owners are presented, which provides the reader insight into how owners operate in the field. Such first-person experience in business is highly valuable because it provides a window into the practical application of concepts in the book. The small business owner who reads this book will gain a thorough understanding of accounting and financial management. This is knowledge we can use to better manage our own company's finances, or at least to make sure our accountant is doing a good job by having a greater understanding of exactly what they do. Small business management courses in college and even workshops can be quite costly in comparison. For about $17, this book presents a great deal of highly valuable information in a comprehensive format. The subtitle of The Accounting Game reveals the focus of the book, which is squarely on basic, foundational accounting knowledge that one should know when trying to operate a business. The guiding metaphor is carried out through the content with a discussion of, for example, deciding on the proper size of a front-yard lemonade stand.This book is intended for a diverse audience ranging from the business owner to the college student, and it provides the basics in an easy-to-read format. All the basics of accounting are presented without overwhelming complexity, in an interactive format that is accessible and fun for the reader. The price of the paperback edition currently ranges from $14 to $16, while the digital book is priced around $12. This is very comparable to the range we found for Accounting for Dummies. The wording is simplified to turn accounting lingo into everyday language. Color-coded charts and worksheets are also included to assist in memorization and learning of the material. The contents are highly accessible but somewhat shallow in some subject areas. The book follows the growth of the model lemonade stand throughout various iterations of its progress, providing us with a vivid example of how businesses grow and apply the concepts in the book. The exploration of the lemonade stand is creative and fun, and the study guides are useful. The value of this book is quite high given the expansive information presented. For about $14, the reader can gain a window into a growing theoretical field. The author brings accounting concepts to life and makes them easier to understand. The offering by Wiley titled 1,001 Accounting Practice Problems for Dummies fits well alongside Accounting for Dummies, in that it provides information on the basics of accounting for the reader looking to build an understanding of this art. Rather than following a data-driven chapter format, this book presents accounting knowledge in the form of questions.The information is presented in a more interactive manner that is beneficial to the reader; the higher level of engagement that the book demands helps enhance learning. The pricing we found for 1,001 Accounting Practice Problems for Dummies is somewhat higher than for the competition, coming in at $17 to $22. However, given the depth of information and greater amount of material that is covered, this slightly higher price is not unreasonable. As with the other books in the For Dummies series, otherwise complex and specific language and information has been pared down to understandable content that enhances your knowledge of the subject. You will not face barriers in the form of advanced vocabulary more suited to the academic world. The contents of the book are extensive. The volume includes a wide range of questions touching on a broad number of accounting-related subjects. For example, in the first chapter on accounting principles, questions are presented that teach us how to define assets, liabilities, equity, revenue, and expenses. Further, we learn and understand the differences between cash-basis and accrual-basis accounting, income statements and expense transactions, and how to use the balance sheet and income statement. These subjects alone provide a fundamental understanding of accounting, and that's just the first chapter. The book's approach centers on comprehensive coverage of accounting concepts through an interactive test-taking format that supports learning. Finding useful accounting questions can be difficult for even the college student, and yet sample questions and answers are highly valuable and support learning. Given the value of comprehensive answers to questions to produce understanding, having 1,001 of them in this book is a true value. Accounting for Dummies is a useful guide through which we can learn the fundamentals of financial reporting and management. This complex information is boiled down into an accessible format that is easy to read and learn quickly. There are quite a few books on the market providing such fundamental accounting data, with Accounting for Dummies at the top of the list in terms of value, accessibility, and breadth of content. When it comes to learning accounting, the materials that we often encounter are very dry, so this approachable and informative content is welcoming. Accounting for Dummies provides us with the essential information we need to gain a basic foundation in accounting, and from there we can build up our knowledge to learn even more. For more books on the essentials of financial management and accounting and ongoing updates and articles in the area, check back with us often!